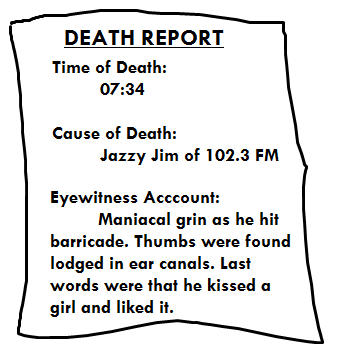 This entry was posted in Funnies, Music and tagged commuting, humor, itunes, Katy Perry, MP3, music, new music, pandora, zune. Bookmark the permalink. And that’s why I don’t listen to commercial radio! We are fortunate here to have a Community Radio station; no commercials, and the all-volunteer, dedicated DJs play whatever they like. So if I hear a song I don’t like, I know the next one will be different. They play all genres, and I have found artists I never knew existed as well as lots of local talent. And if I want to know who the artist is, the playlist is loaded on the website as soon as the song is played. Some of the musicians I ‘discovered’ include Matisyahu, Wilco, and Midlake. I must thank you for introducing me to Midlake. Very lovely. Funny post! I use Rhapsody. Lately I’ve been listening to Nero, Ellie Goulding, Jason Mraz, and fun. Ok I got all those songs. Love the first one. Good start. Wow, yet again I am introduced to a great band. Nero is awesome. Have you heard Pendulum, Andy Grammar or Friendly Fires? I recently discovered a band called Moving Mountains. Not the kind of music I typically listen to, ever, but the grabbed me. They opened for Coheed and Cambria. Another band I never thought I would like. Lastly, Good Old War opened for Counting Crows. Pretty decent little band. My listening choices would only date me, and show how out of touch I am with all the no doubt excellent music choices everyone here lists (I still listen to Queen, Neil Young, John Hartford, and of more recent date Liz Phair). See? Anyway, I don’t listen to them while I drive, because I take public transport and don’t have a car. And (to thoroughly freak you out) recent statistics have shown that people have almost as many accidents listening to music in cars as they do texting (I know, Mark Twain supposedly said that “there are lies, damned lies, and statistics,” but he only grounded a river boat now and then not a car–and chances were, he was listening to the boat’s band or orchestra play the latest waltz at the time! He!he!). 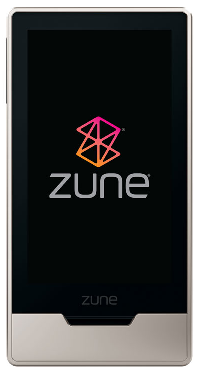 I too loved the Zune. I had an older model, but it was the best thing I have ever bought (sans my car). Recently I’ve been loving a couple bands: Ivan and Alyosha, of Monsters and Men, The Civil Wars, and Josh Garrels. Fantastic, all of them.